The latest version of Android operating system are packed with many features that we could not imagine even though most of the Android users are unaware.If you are using Android version 7.0, 7.1 and other higher versions, then you have many features to enjoy, one of the features is Night Mode which help to cancel any blue light emitted from screen and gives you better cool screen. Night Mode feature is useful at night, when your screen too bright with very powerful light entering your eye, when you activate Night Mode then it reduce the light changing the screen to very cool one. To activate the feature doesn’t require root. The Night Mode feature first appeared in the first Developer Preview of Android 7.0 Nougat but unfortunately, the feature didn’t make it to final build. That’s what make the Night Mode feature to be hidden because all main codes was still there. 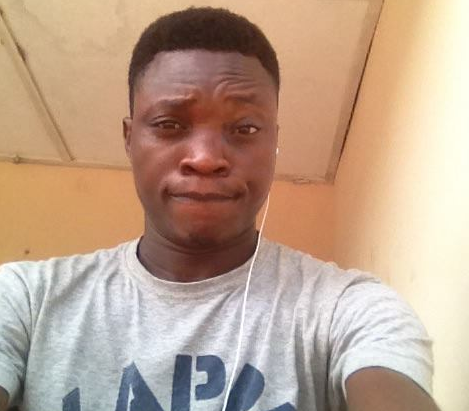 Michael Evans created an app to activate the dormant Night mode feature after thorough investigations. So, to activate the feature requires little effort to pay and you would get the blue-cancelling screen filter on your Android Nougat. It’s easy to enable on Android, just like enabling developer options. Firstly, swipe down your phone twice to fully expand the Quick Settings Menu. Now, hold the gear icon at the top-right corner, then let go off after 10 seconds. You will be taken directly to your Settings options, where you will a congratulating message, saying “Congrats! System UI Tuner has been added to Settings“. Voila! You have activated the System UI Tuner. Now, that you have successfully activated the System UI Tuner, you can now download the app designed fittingly for enabling the Night mode feature on Android Nougat. You can download the app over here on playstore. Install and launch the Night mode enabler app and tap on the lone button at the middle of the screen. 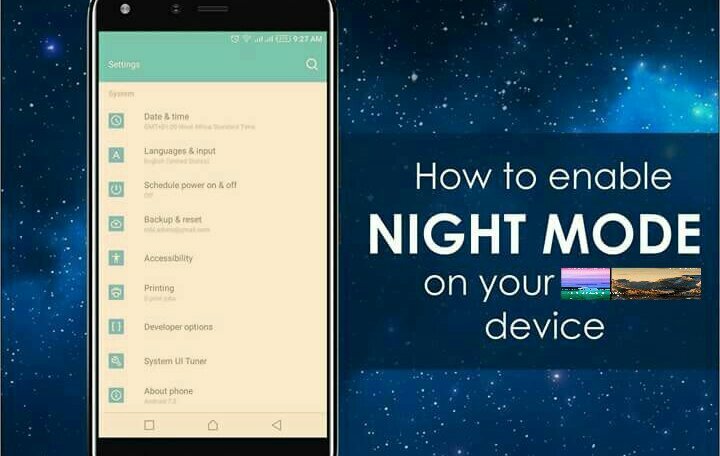 You will be taken directly to the Android’s hidden Night mode settings in the System UI Tuner. Toggle it on at the top to enable the Night Mode and you can as well adjust other night mode settings. Night mode feature is very interesting especially if you like chatting or working on your smartphone at night, if you follow the article very well then you should be able to install perfectly, and if you encounter any problem kindly ask question by leaving comment in the box below.